A Mumbai court on 1 January extended the police custody of Chintan Upadhayay, accused of killing his wife, installation artist Hema and her lawyer Haresh Bhambhani, till January 4. Kandivali Police produced Chintan before the Borivali Metropolitan Court this morning and sought further police custody as his remand ended on 1 January. Police also moved an application seeking narco analysis test of Chintan. 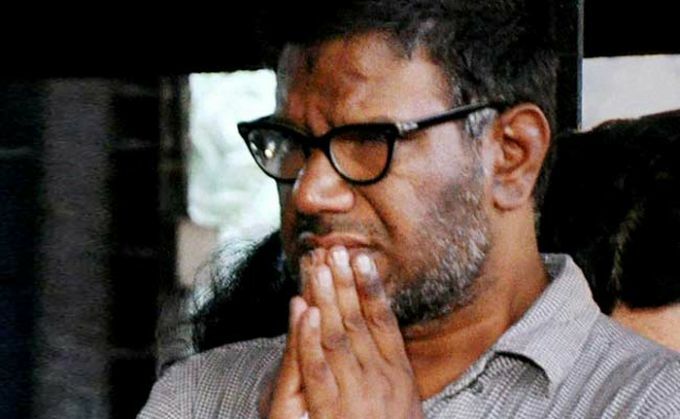 Magistrate Prasad Kulkarni extended Chintan's remand by three days. Chintan, also a painter, is accused of conspiring to kill his estranged wife Hema with whom he was locked in a legal battle. He was arrested on December 22 after being questioned by the Crime Branch. The double murder came to light after the bodies of Hema and Bhambhani were found stuffed in two boxes in a drain in suburban Kandivali. The other four accused in the case - Pradip Rajbhar, Vijay Rajbhar, Shivkumar Rajbhar and Azaad Rajbhar - are currently in judicial custody till January 11, while the main accused Vidyadhar Rajbhar is still at large.